The lovely nutty taste of spelt comes through in this fabulous summer cake that features two of my favourite ingredients - raspberries and almonds. And as an added bonus, it doesn't have to be June to enjoy it, as autumn-fruiting raspberries are now widely available. 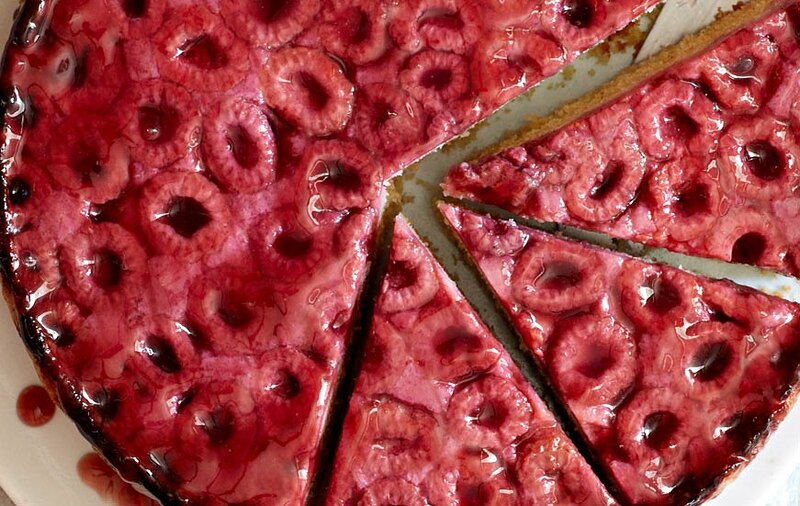 You can vary this cake by using other fruits, such as blueberries or chopped rhubarb, making it perfect to adapt to whatever is in season at the time of year.